Places Leisure who was awarded the contract to build, operate and design the new building by Test Valley Borough back in April 2017, is scheduled to open this spring. An eight-court sports hall, a splash pad, squash courts, café, group exercise studios and a 165-station gym are also among the new facilities. The community leisure centre will also include two pools, a 25m pool and a 15m teaching pool with a moveable floor. 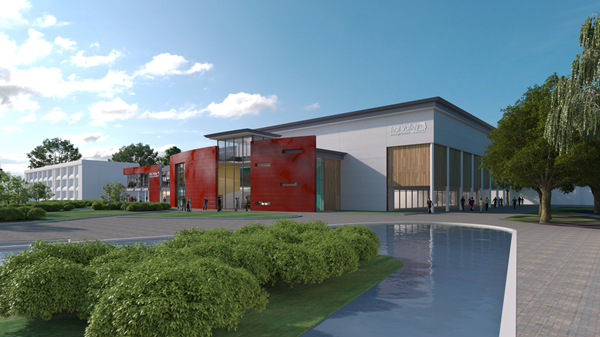 The leader of the TVBC community and leisure boss, Tony Ward added: “I know that the opening of the new Andover Leisure Centre is eagerly anticipated and so I’m very pleased that the progress is continuing ahead of this spring. For more information visit andoverleisurecentre.org.